Mesa, Arizona, February 6, 2010 –	Sunland Village East, a very active tennis community in East Mesa, Arizona, launched its FREE Tennis Lessons for Children program on Saturday. 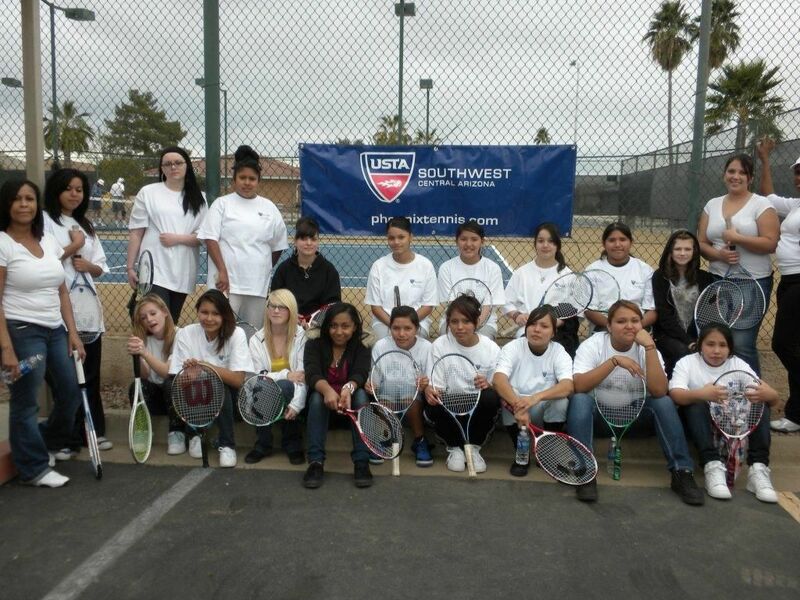 This program is in partnership with USTA Central Arizona. Ten Sunland Village East members, directed by Al Sondergaard, put the program together to give more young children the opportunity to be introduced to the “sport of a lifetime.”	The children will all meet at the Sunland Village East community tennis courts for the next six Saturdays where they will receive tennis instruction. The program will teach the children the basics of tennis, from hitting forehands and backhands, to competing together as part of a team. The ages of the children range anywhere from eleven to eighteen years old, and will begin their learning on small 36’ QuickStart courts to get a feel for the game. By the end of the six week session, they will be rallying and playing on a 60’ court using low compression tennis balls.